DoggieDashboard users requested a way to tell their "pet parents" how their "fur babies" were behaving at doggie daycare. After interviewing some users to see exactly what they wanted, pet report cards were born. They've since become one of DoggieDashboard's most popular features. Pet parents love to know how their pet is behaving at daycare. When they got on vacation and leave Fido behind for a week, they like getting notifications about how their animal is doing. 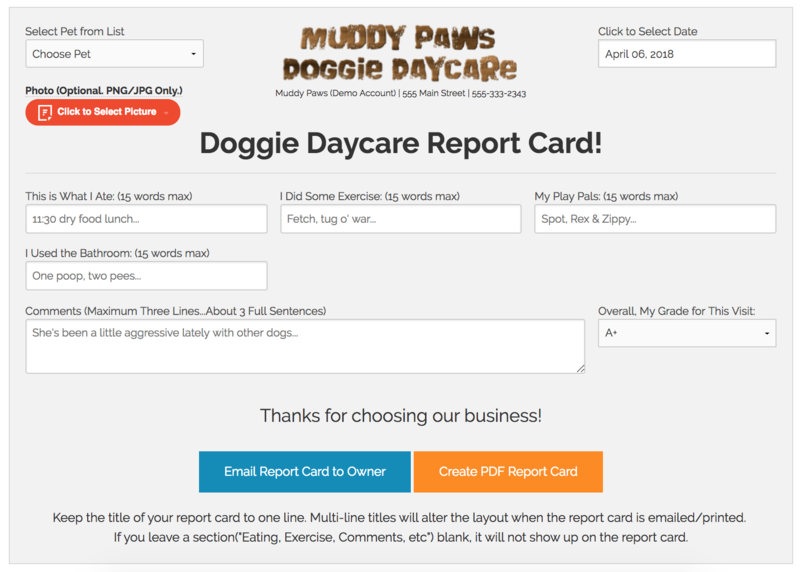 Use pet report cards to send customized behavior reports to your clients.